National Event leads health and wellness movement with its affordable $50 Spa Treatments. Spa Week, which is now in its 16th installation and is the original and most successful Spa Marketing Event to date, continues to successfully spread this message by making it possible for millions to take advantage of the healing benefits of the spa with its biannual, signature $50 treatments. By definition, spas are places devoted to overall well-being through various professional services that renew mind, body and spirit, according to the International Spa Association. For years, the spa industry has been undergoing an exciting transformation of making these services more diverse and wellness-focused than ever before, offering more programs and incentives for consumers to lead healthier, happier lives. Spa Week, the original and most successful Spa Marketing Event to date, continues to successfully spread this message by making it possible for millions to take advantage of the healing benefits of the spa with its biannual, signature $50 treatments. Moving into its 16th installation this Spring, Spa Week will deliver the most innovative, cutting-edge services at a discount to deserving consumers across the United States and Canada. From April 16th – 22nd, hundreds of spas (day, medical and resort), yoga and Pilates studios, fitness centers and other health and wellness practices will offer up to three signature treatments at the major discount of just $50 each. As always, Spa Week partners with some of the most prominent, respected names in the industry to deliver the most current trends in spa and wellness services. From introducing new massage therapies like Acupressure and Bamboo Massage and advanced, clinically proven, skin-perfecting facials to weight-loss and nutrition classes, Spa Week is responsible for educating spa-goers on how to incorporate specific treatments into their lifelong health regiments. Prior to Spa Week’s inception in 2004, the spa industry was notoriously mistaken as a VIP circle reserved for beautifying and pampering the rich and famous. In the years to follow, Spa Week broke down these barriers by opening up the world of spa to the masses by making costly treatments affordable for the average consumer. After experiencing a huge economic downturn and the recent health care crisis, stressed-out, overworked consumers have come to rely on Spa Week as a means to provide the physical and mental, therapeutic relief they need on a budget. For the past eight years, Spa Week has established itself as the most comprehensive way to engage consumers in the health and wellness lifestyle, and thanks to its Spring and Fall Events, no longer is the spa associated as a fluffy place of privilege, but an essential life ingredient that’s within reach of the masses. 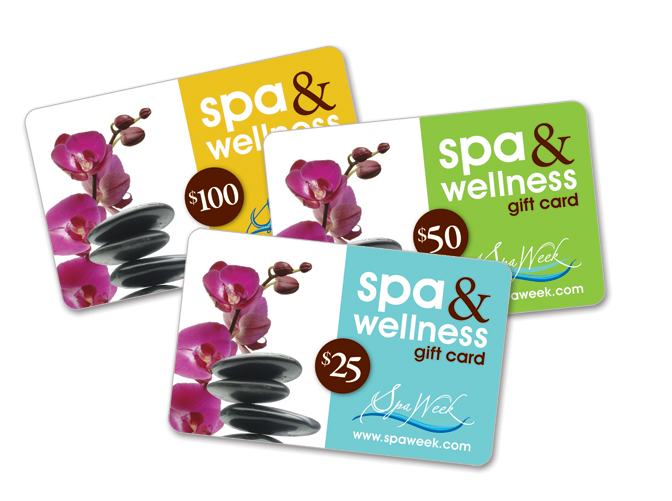 In order to take advantage of Spa Week, consumers should register on SpaWeek.com for exclusive information on participating spas and their $50 services. Now for the first time ever, SpaWeek.com will launch five weeks early, on March 12th, to give consumers even more time to book their desired services well in advance. It is recommended that spa-goers sign up and book their appointments as early as possible. Never before has the spa industry been more focused on delivering serious wellness initiatives by offering more services and programs geared toward building long-term consumer relationships that go beyond the periodic spa visit. This is the result of more savvy, educated spa-goers that Spa Week helped to create not only with its Spring and Fall Events,but also with its National Gift Card Program which recently launched in over 17,000 retail locations including Target, Sam’s Club, CVS Pharmacy and Rite Aid. As the health and wellness needs of consumers change, Spa Week is there and will continue to be an integral way in which they experience the spa. Spa Week was created and founded by Cheryl Reid, who hails from successful careers within the luxury spa industry and publishing spheres. Joining Spa Week for the Spring 2012 Event, sponsors include: Exclusive National Media Sponsor: Allure magazine; Exclusive Spa Association Partner: ISPA; Exclusive Skincare Sponsor: American Laser Skincare; Exclusive Wine Sponsor: Rioja; and introducing Exclusive Book Sponsor: Where We Belong by Emily Giffin and Exclusive Cosmetic Sponsor: Christopher Drummond Beauty. Co-sponsors include CEW and Spa Chicks On The Go®. Spa Week donates a portion of the proceeds from the Spring and Fall Events to CancerAndCareers.org. The nation’s most successful spa marketing company, Spa Week Media Group connects wellness-savvy consumers with thousands of spa businesses nationwide. 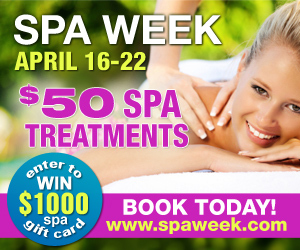 Since 2004, millions have experienced the benefits of the spa lifestyle thanks to the efforts of SpaWeek.com and the Trademarked Spa Week Events’ signature $50 price point. From dynamic, industry-shaping content, life-changing sweepstakes and a prestigious, National Spa & Wellness Gift Card Program to its weekly deal site, http://www.therightdeal.com, Spa Week Media Group is the Country’s leading lifestyle resource for everything wellness. As always, Spa Week’s mission is to change the perception that spa visits are an indulgence by highlighting the health benefits of a regular spa regime, and to make the spa an accessible and affordable reality for generations to come.